There is an autonomous organisation of the Government of India called ICCR (The Indian Council for Cultural Relations). They are involved in maintaining the external cultural relationships of India through cultural exchange with foreign countries and their people. This organisation was founded by independent India’s first Education Minister Maulana Abul Kalam Azad in the year of 1950. The main objective of ICCR is to remain proactive in formulation and implementation of programs and policies pertaining to India’s external cultural relations in order to foster the cultural relations and strengthen the mutual understanding between India and other countries. This way, it is possible to promote the cultural exchanges with foreign countries and cultivate fruitful relations with those nations. 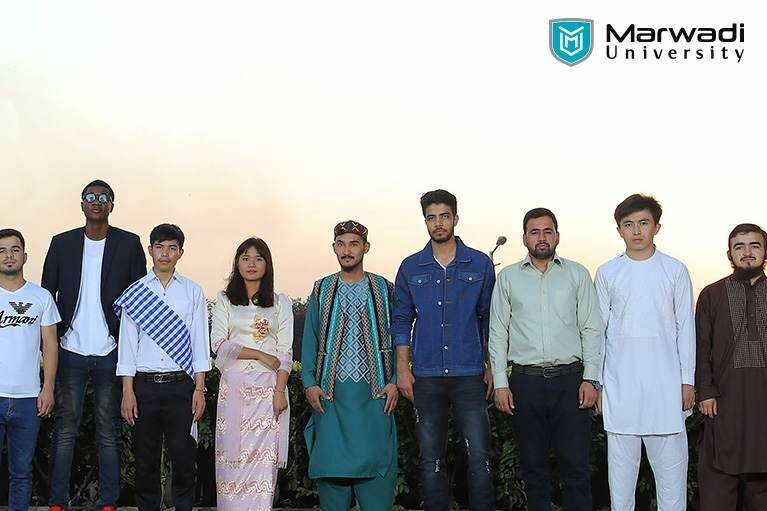 We, at Marwadi University, have a special team for the students who come from other countries. Our team is very supportive who coordinates with them right from the time of their admission until their graduation. This special team connects with the students, helps them with various issues and makes sure that they don’t face any glitch at the university throughout their being here. Our university campus has excellent special facilities for our students. Our accommodations include ultra-modern facilities. The hostels are backed by Wi-Fi, a gymnasium, a health center, set-ups for various sports and a canteen with a variety of cuisines. Foreign students can stay here without facing any problem. At this best university in Rajkot, we have specialised lab facilities for languages and communication. Under these facilities, we arrange a plenty of sessions to enhance the language proficiencies of the students. Here, we help international students to improve their listening and speaking skills so that they can easily understand the language and accents spoken by faculties and other students. And ultimately, it would smoothen up their communication and learning process. The entire campus of Marwadi University is backed by advanced technologies. This campus remains under camera surveillance for all the time. Apart from this, to make sure that the students are secured, there also remain the security officers who are well-trained to do their duty. So, foreign students don’t have to worry about their security. They can wander freely here. To feel the aura of our university, plan a campus visit today!